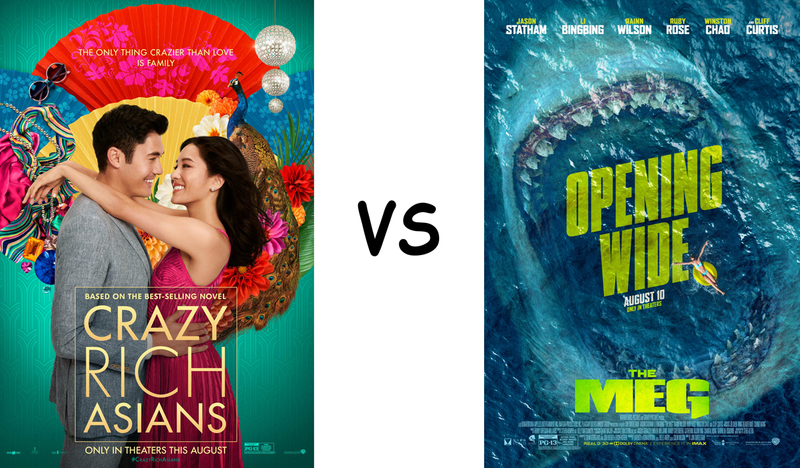 Crazy Rich Asians vs The Meg. Socially-relevant Rom-Com vs Mindless Action movie. 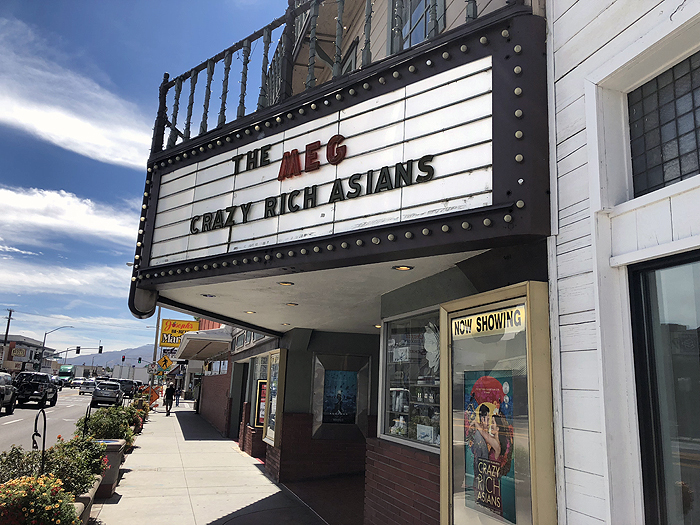 We saw both movies at the Bishop Twin Theater, described by a Google reviewer as “If you want big city multiplex theater with big city prices, go home”. Actually, it’s a lovely little movie house reminiscent of all those long gone small town theaters I grew up with . . . where I watched my first ever movie, The Spirit of St Louis (I thought it was going to be about ghosts) and Tarantula (giant bug movie genre). Anyway, we saw Crazy Rich Asians on Tuesday night. Sitting in the row ahead of us were a half dozen teenage girls who I thought would ruin the movie for us. Au contraire! They made a great movie even better. The ooh’d when the leading man took off his shirt and ah’d when the leading woman took charge. Perfect. Wednesday night was The Meg, a movie about giant sharks eating peple and wrecking stuff. If you liked Sharknadoo, you might like The Meg. However, for me, as soon as one of the giant sharks made its appearance, I was rooting for it to eat the lousy actors in this schlocktacular. The only entertainment in the theater was a couple of kids with lights on their shoes who ran up and down the aisles. Thumbs down. Calling all DISH Hopper users . . . I use this setup in my RV. 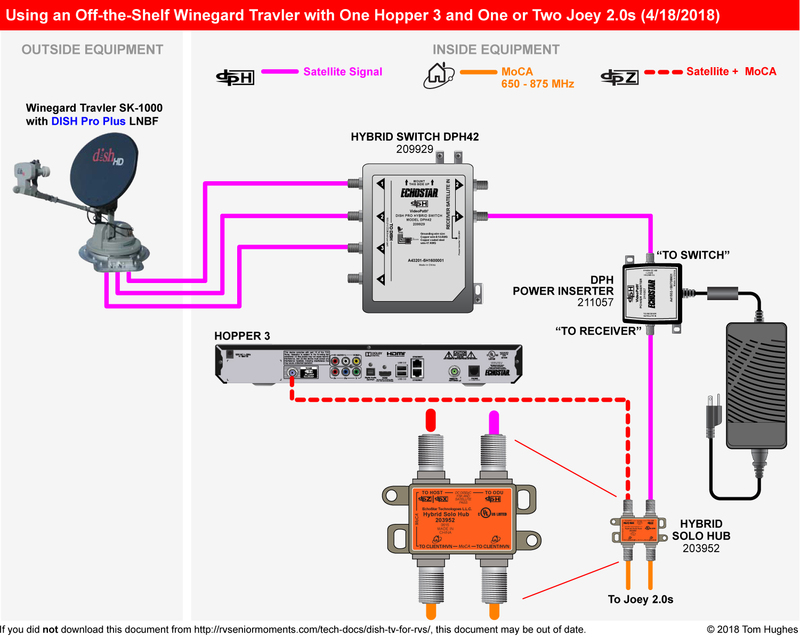 However, each time I move my RV and perform a “Check Switch” (actually called Test Installation for a Hopper), satellite 110 will be missing and I’ll get a “COM” error. After some trial and error, I came up with a method that re-acquires the missing 110 satellite. So far it has worked every time.